When I attend prompt circles and other writerly groups, one question that keeps cropping up is, “How do I get started?” It’s usually asked by someone that, to my eye, is quite ready to get onto the page, they just don’t know where the page is. My answer is always the same: open your journal and start writing. Set a timer for ten minutes. Write whatever’s in your mind. If you totally can’t think of anything to write, then tell me how you got here, to this moment, today – start from the minute you woke up this morning. That’s it. Start with where you are. Right here. What’s the best advice you have for getting started (in anything, not just writing)? This entry was posted in Blog and tagged #atozchallenge, A. Catherine Noon, Blogging, Noon and Wilder, Rachel Wilder, Writer Zen Garden, Writing. Bookmark the permalink. Exactly! Accompanied by some soothing classical music. Thoughts come from nowhere. I totally like to just jump in to things, whether writing or simple chores. I cannot stand talking and planning, or generally procrastinating. Just do it! ~grin~ Though that does not apply to most travel. 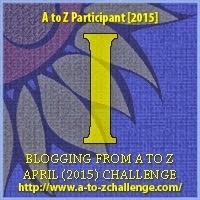 Visiting you during the #Challenge and happy to find another writer. I always return to the fact that in order to write well, you must read well. I know you will agree. I'm in the jump in the middle of things camp as well. Hi, Stepheny! I think that most of the writers I know started as voracious readers. 🙂 It's like we want to continue the story, and that drives us onto the page. That technique of just writing what you did that day is a good idea! I'll have to try that next time I'm stuck for an idea of what to journal. 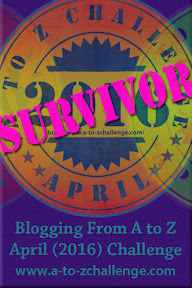 Just stopping by from blogging A to Z.
Hi, Doree! I hope the technique helps you. Thank you for visiting for the Challenge! Great post. I'm following you on GFC. Hi, Lenni! I like the Finding Forrester tip; I've done that myself. There are a lot of those kinds of tips in Novakovich's book, too; things like re-tell a fairy tale or a bible tale. There are lots of ways to get to story; but the key is, to start. Hi, Grace! Yup, "just write" is the key, but it's not an easy one to trust. So pleased that it's working for you! Maps, outlines, timeline charts, photos and research…sigh. My favs.